KEN YUSZKUS/Staff photo. 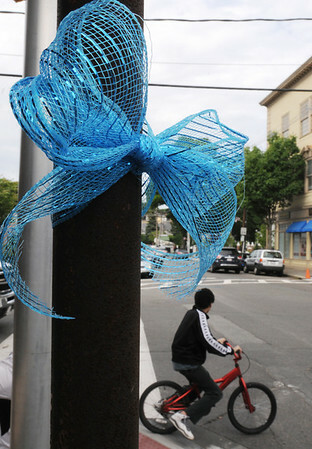 A blue ribbon hangs on Pleasant Street at the corner of School Street in Marblehead. 6/9/14.